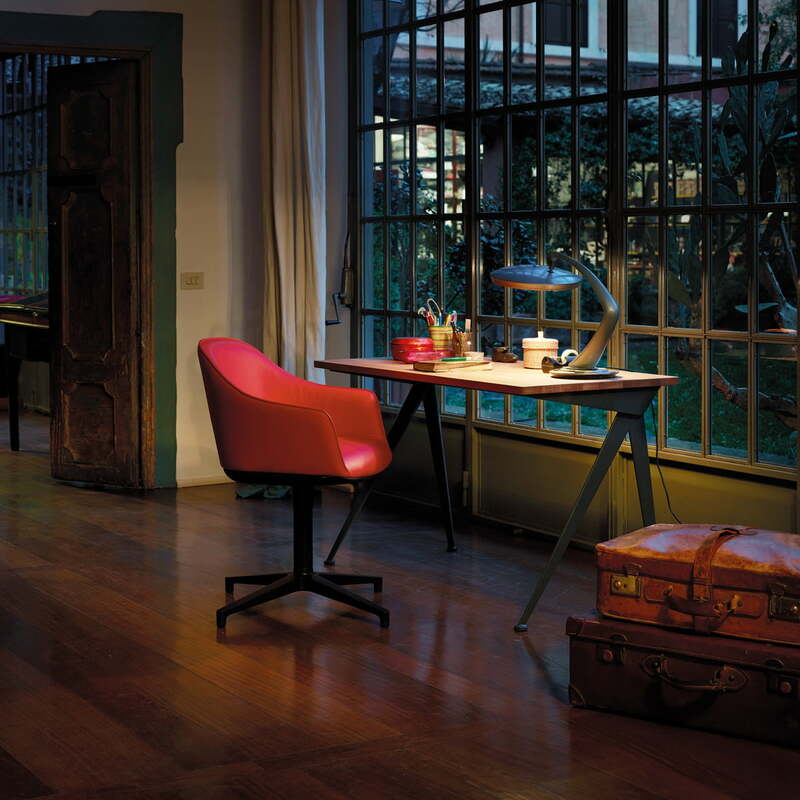 Unobtrusive comfort: The ergonomic benefits of the Vitra Softshell Chair are not noticeable at first glance. 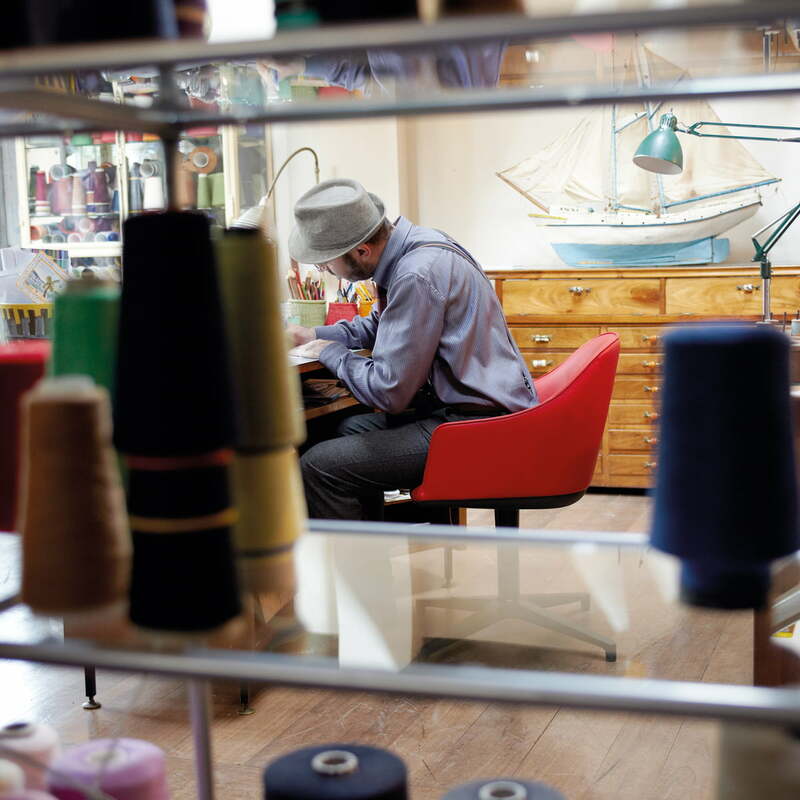 This makes the Softshell Chair, which was designed by the Bouroullec brothers, a comfortable multi-purpose chair. Hidden in the back shell of the Vitra Softshell Chair are vertical ribs which adapt to the user’s back. This means that the body can maintain complete freedom of movement while all important areas are supported at the same time - and over a long period of time. Gentle shapes, soft cushions and the inviting impression make the Vitra Softshell a friendly companion in terms of its appearance. 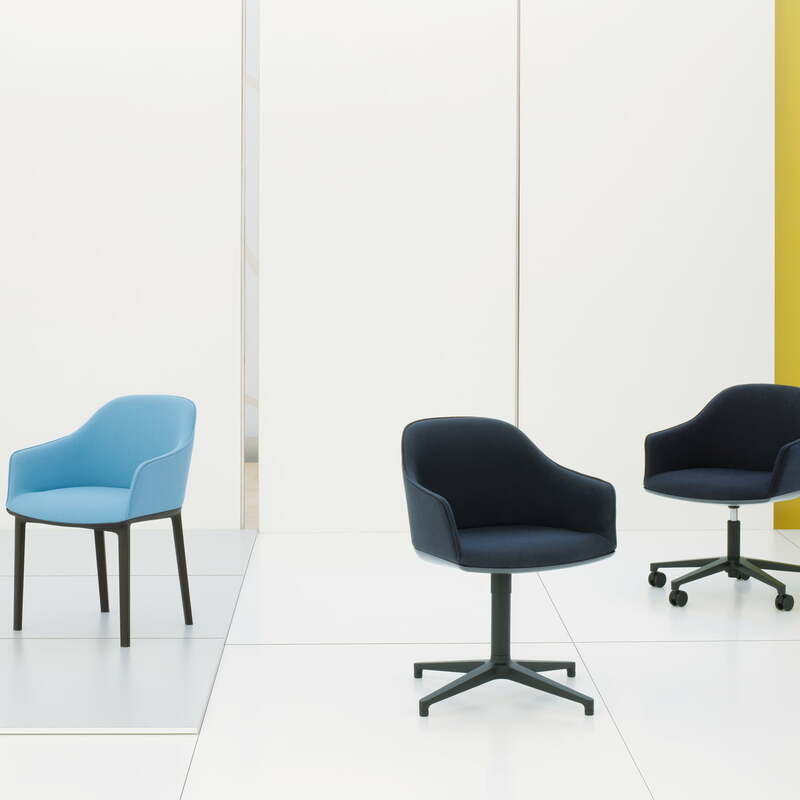 This makes the Vitra Softshell an ergonomic and comfortable addition to the living room, office or conference room. 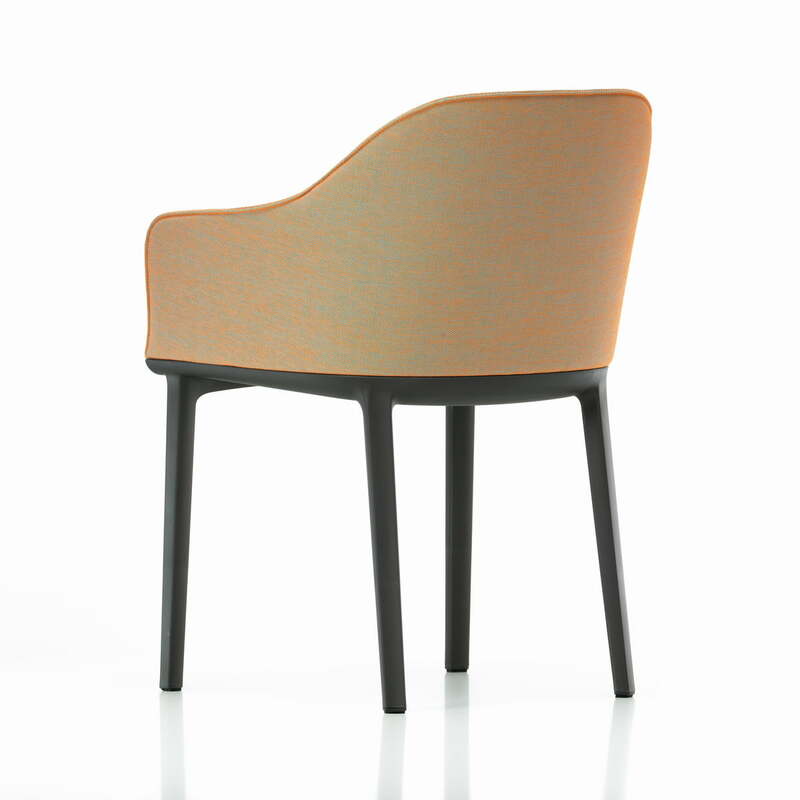 Vitra produces the innovative backrest of the Softshell Chair out of fibreglass-reinforced polyamide. The padding in the seat and the back area of this multi-purpose chair designed by Erwan & Ronan Bouroullec are made from polyurethane foam. The four-legged base consists of polyamide. 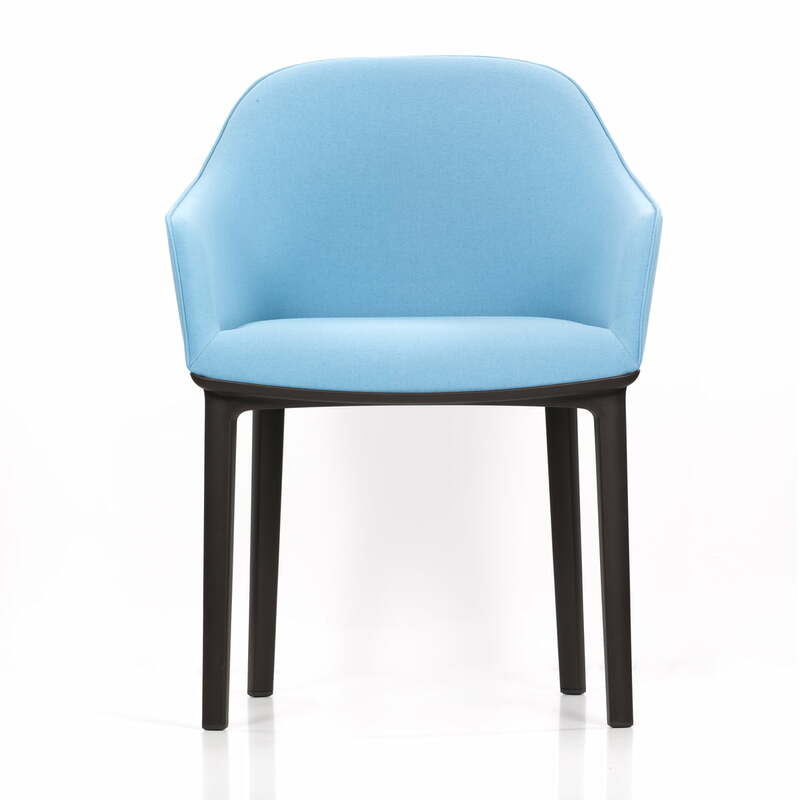 On request, the Vitra Softshell Chair is also available in many other colours as well as with leather upholstery. Additionally available are a swivel four-star aluminium base and a spring-loaded five-star aluminium base on wheels. 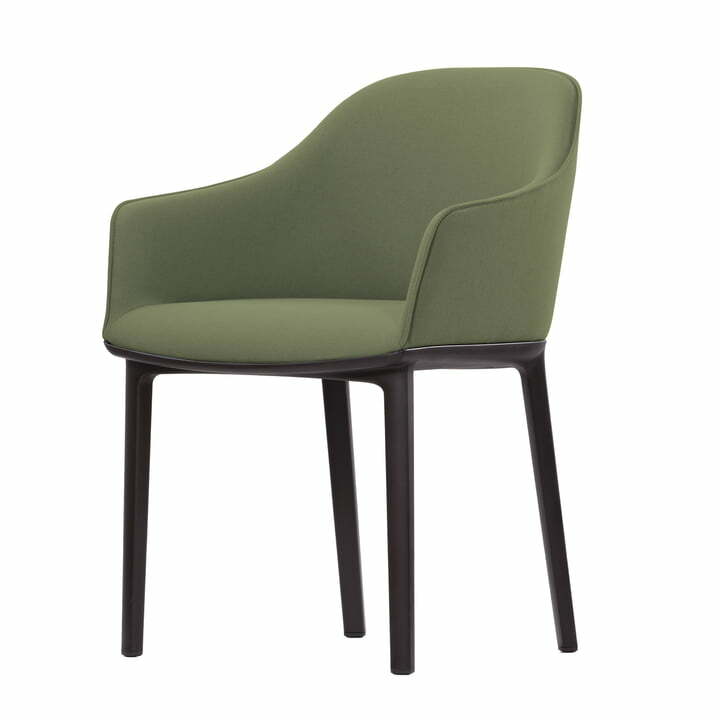 Isolated product image of the Softshell chair with a polyamide four-legged chocolate coloured base by Vitra and forest / sierra grey Plano upholstery.